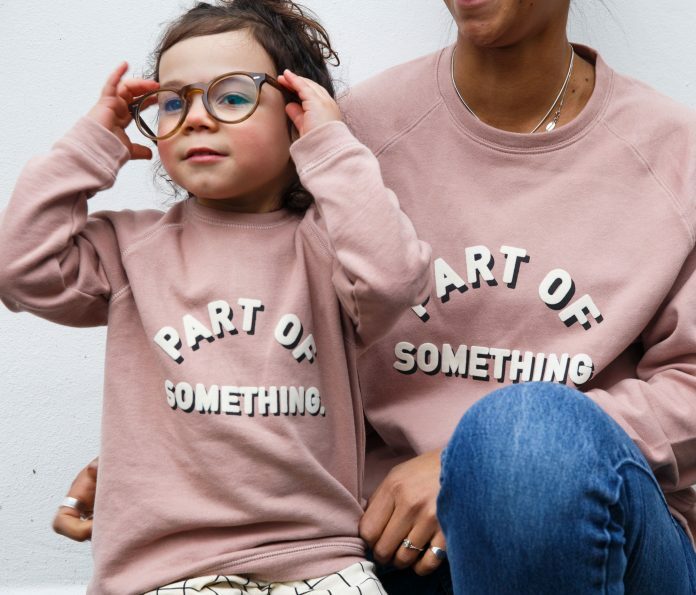 The owner of new clothing brand Claude and Co has launched an exclusive sweatshirt in memory of her niece who sadly died from meningitis last year, with some of the proceeds from sales being donated to charity Meningitis Research Foundation (MRF). Abi Dakin 28, from Anstey in Leicester, explained: “My niece Phoebe meant the world to me. Our family were blown over with unconditional love for this perfect little human. Tragically after nine precious wonderful months, in May 2017, Phoebe passed away very suddenly after contracting pneumococcal meningitis, which developed into septicaemia. It is very hard to put into words what the loss of Phoebe meant to us and how much we miss her. “One burning feeling from the loss of Phoebe was that she will always be such an important part of us, our story and lives – just as we were to her. In the face of the hardest time as a family, I decided that I could do some good in a way that I know how, I designed and created a simple slogan sweater – Part of Something. “The slogan is positive, full of hope and love. I am sure so many people can relate, not necessarily through loss, but through how much someone will mean to them – your child, your family, your friends.